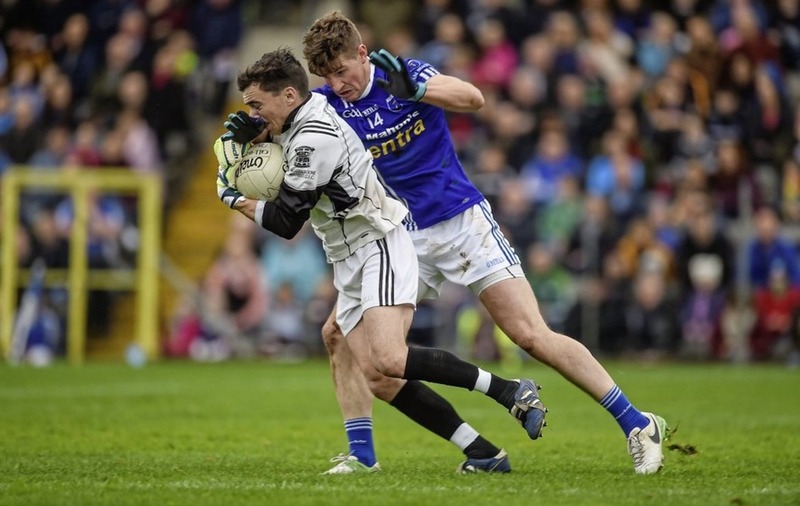 THE wipe-out of last week’s Allianz League programme has brought into sharp focus the pressure the GAA calendar is under in terms of capacity. Not unlike the NHS, the whole structure has just enough capacity to cope with standard levels of activity. Start adding in a few unexpected events and things start to back up and unravel pretty quickly. Whether you subscribe to Mr Sod’s or Mr Murphy’s Law, at times it does appear a case of ‘anything that can go wrong will go wrong’. Our once-in-a-generation weather event just had to happen in the year the GAA had moved to announce the protection of April for club fixtures only and rolled out the new-look fixtures calendar. Last week’s postponements have served to bring new attention to the merits of the county-free month of April and renewed suggestions of fixture crisis and chaos. Nothing has gained more column inches over the past few years than the fixture ‘crisis’ apparently facing the GAA. The threat of open revolt appeared to even rear its head with the inception of the Club Players’ Association and murmurings of club player strike action. In response to such pressure the club-only month of April was brought in, but for me it is a bit like that last famous knee-jerk reaction – the black card, which failed to deal with the single problem it was introduced for – to prevent the cynical foul stopping a clear chance. Players will still do this and trot off the pitch with nods of acknowledgement that they did the right thing. The club fixture issues will not be solved by giving one standalone month at the start of the year three to four months isolated from the main club competitions. Both moves for me are also unnecessary. Appropriate use of the cards system, as previously existed, plus maybe one additional rule for a straight red without suspension for the classic cynical foul, as described, would have sufficed. Regarding fixtures, several county boards, for example Monaghan and Tyrone, already have a very good handle on their competitions. With the extra one to two months which the move of the All-Ireland will afford them, I think the competitions in these counties – and I’m sure others – will run pretty well. I am also sure that if you give some county boards carte blanche over a full 12-month calendar, they would still struggle. I think there are a couple of fundamental points around the fixtures ‘crisis’ which are worth considering. The first is that looking for a completely perfect format that allows every team and player to be playing the number of games they want to be playing when they want across all codes and levels and allowing all the county, provincial and national bodies to play their games when they want or need to simply is NEVER going to happen. It is simply impossible. I did not say the Tyrone and Monaghan structures are perfect – of course they aren’t. 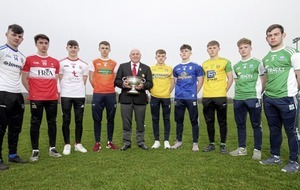 However, taking a broad overview, the competitions are well structured and successfully run and this is with two relatively successful county teams. The fixtures issue is framed in a way where you seem to have to pick a side – club or county. In many ways it is viewed as the suits in Croke Park putting their county game above that of the poor clubs. To be honest, I don’t buy this viewpoint and think it is a pretty lazy and unhelpful stance. The cliché that the club is the cornerstone or bedrock of the association is often rolled out. Such quotes from high-ranking officers are often thrown back in their faces when people point out the attention and primacy placed on the inter-county competitions. Some honesty, however, should allow the county level game to be given the credit IT deserves. While the club is indeed the bedrock of the association, the county game is the nice house built upon it. The bottom line is that it is the nice house and not the foundations that display our sport and association at its best. It cannot exist without the club game at its base, but we cannot forget about the things the county games do for us. The crowds and buzz at summer Championship matches and even many Allianz League games now are unmatched by the club game. It is the county game that is so easily discussed and bantered over between people with little else in common. It drives so much conversation and brings a level of prestige to the game that club level, once again, cannot match. Giving our most talented players the chance to train and play amongst and alongside the best brings our games to their highest level. Yes, it is not currently for all tastes, but one cannot deny that many of the great moments that capture the imagination and drive the dreams of our younger generation have emerged from the county game. All of this is before we get to the money the county game delivers for the association. Of course, the purists would not wish to sully our beautiful game with such base topics, but anyone involved in any level of administration will understand the sheer complexity of the association now in its many facets of governance and the money required to run its competitions and its teams. Don’t get me wrong, the club for me remains the be-all-and-end-all. The club game is truly special but, in a different way, so too is the county game. It deserves its special place in the calendar, albeit not in the completely drawn-out manner it has previously been used to. Given that we reached the end of February with pretty much 50 per cent of county games played demonstrates that with proper scheduling of games the county season could be played off over five-to-six months, especially given the quality pitches, floodlighting and Saturday night fixtures. Regarding clubs, most play on average 15-25 competitive games in a year. This too is possible over a five-to-six month period. From a basic mathematical point of view both county and club fixtures obviously fit in a 12-month calendar. The issue of course is that both club and county want and expect their main games between April and September. If both ‘levels’ are going to be played within the same approximate timeframe, then compromises must occur. The argument which seeks to neuter the county game, I don’t buy. The April thing is a symptom rather than a cure. Our unpredictable weather along with everything else ensures things cannot be expected to run completely smoothly. Running around shouting ‘Crisis!’ and looking for some mythical magic button that will fix everything is a fool’s errand. Packed, imperfect and under pressure the calendar certainly is. To continue making progress, common sense and good fixture management rather than ideological extremes must be the way forward.